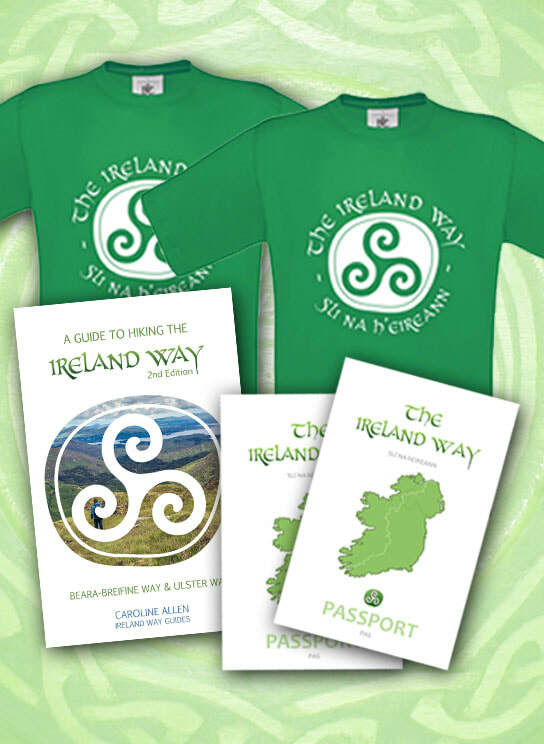 2nd Edition Guidebook available now! 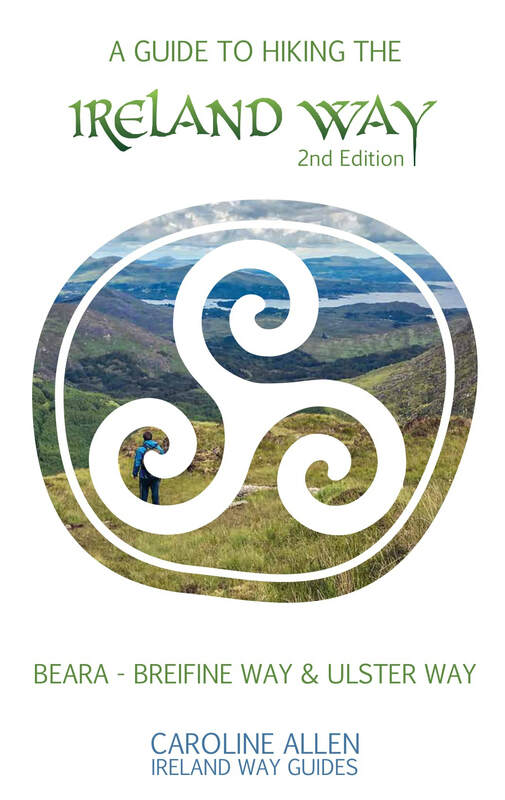 This 242-page 2nd edition guidebook to the Ireland Way contains terrain graphs, accurate distances, trail directions and tips. 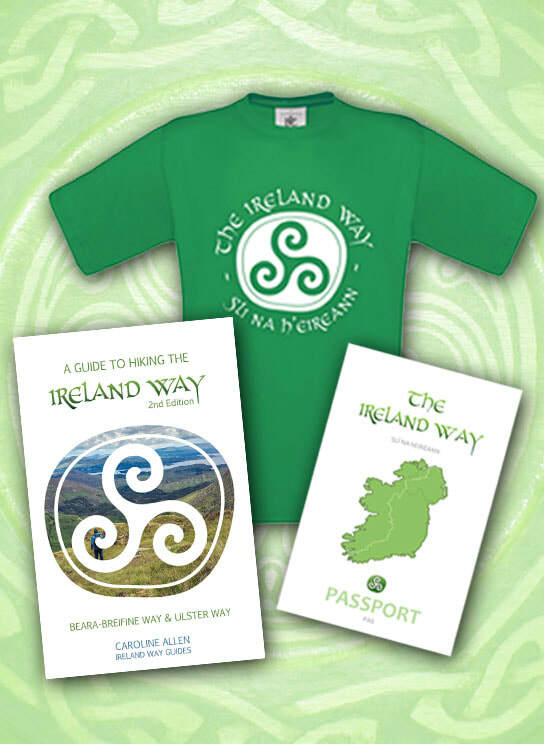 Along the Ireland Way you will cross the wild Caha Mountains and several other mountain ranges. 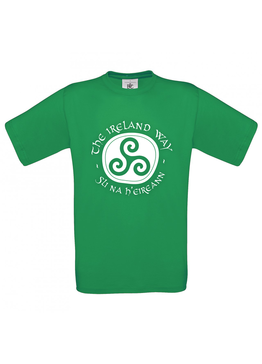 Explore woodland, farmland, bogland, lakes and rivers including the Shannon, Ireland's longest river. 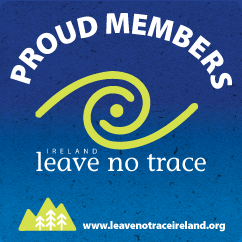 The trail takes in many castles and ancient megalithic sites such as Dunluce Castle and Carrowkeel Megalithic Cemetary. Explore the stunning landscapes and culture on this coast-to-coast epic adventure. 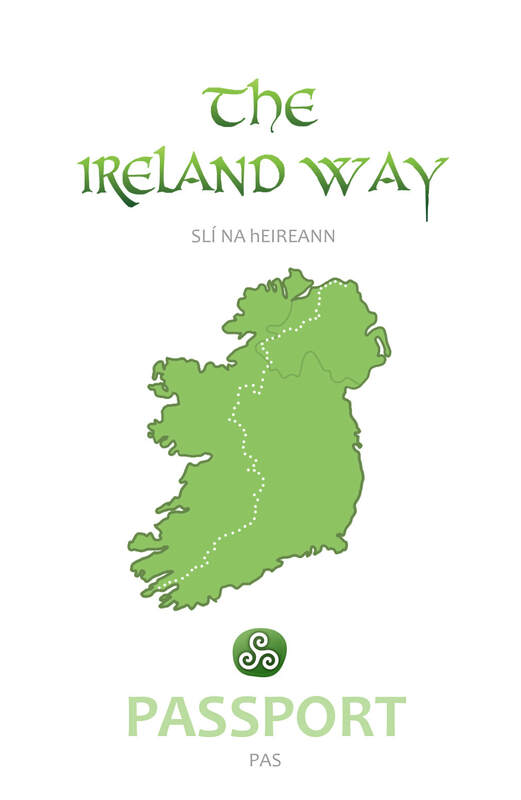 This guidebook has all the maps and accommodation information that you will need on your journey and all sites of interest on the trail are highlighted throughout the book. ​Technical Requirements: This is suitable for the Kindle and some e-readers. Please ensure that your device is compatible with .mobi files. After payment, wait to be redirected to the page to download the .mobi e-book file. One passport containing space for 40 stamps and a map of towns on the back. 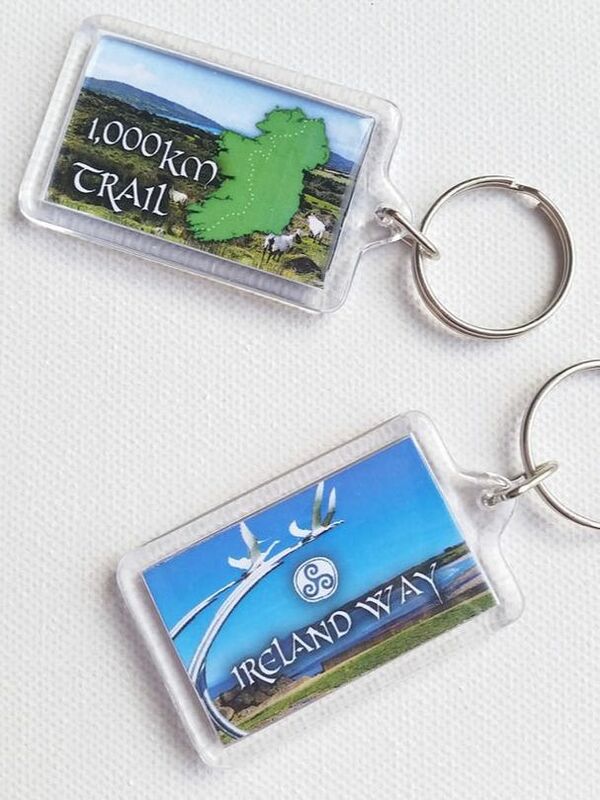 One small acrylic keyring with a photo from the start and end of the trail, featuring a small map of the 1,000km trail. 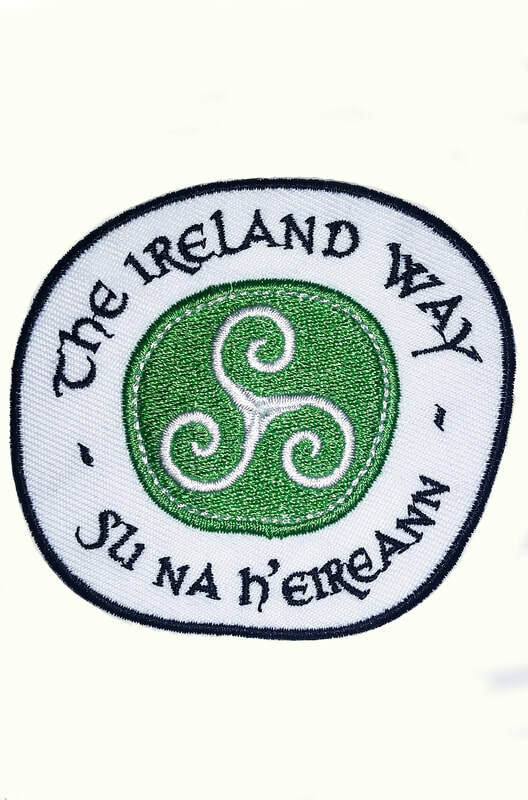 One Ireland Way logo patch, three inches width.